A special place for relaxation in the middle of nature, for a romantic break, culinary delights as well as 2,000 m² wellness and spa area. Welcome to Tuberis Nature & Spa Resort****S in Taufers im Münstertal! 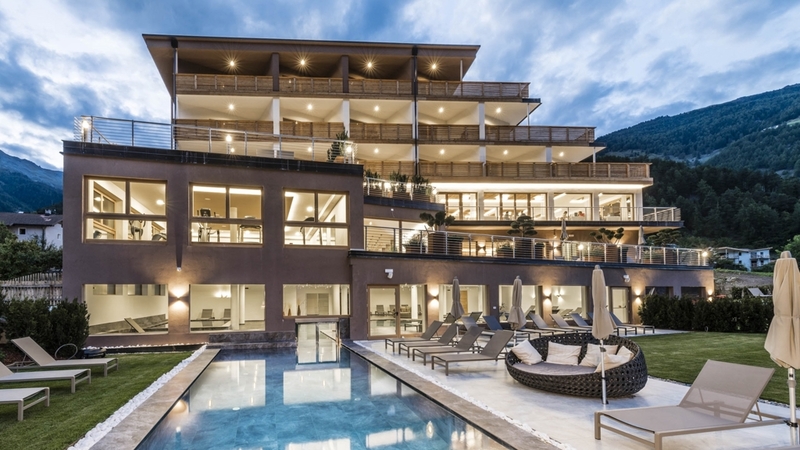 Tuberis Nature & Spa Resort****S is located in a quiet position, embedded in the fantastic mountain landscape of Taufers im Münstertal in Vinschgau. 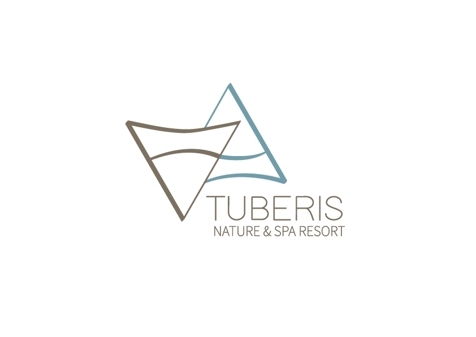 Fresh air, pure nature, incredible panorama, pleasant ambience and warm hospitality will make your holiday in Tuberis Nature & Spa Resort, in the region where Italy, Austria and Switzerland meet, unforgettable. We offer you a holiday full of activities in perfect harmony with nature. Our rooms and suites are spacious and furnished with natural materials to ensure moments of peace and relaxation. For your well-being, we offer an indoor and outdoor pool, various saunas, fitness room, relax area, dark room with water beds, outdoor naked area with whirlpool and a garden. Meanwhile, your children can play in one of the countless child areas. Every morning you will start with our breakfast buffet with vital corner. In the afternoon we spoil you with light, delicious dishes in the bar or on our terrace. For dinner a 5 or 6 course menu with South Tyrolean, Mediterranean and international delicacies awaits you in our panoramic restaurant. Tuberis Nature & Spa Resort is the perfect starting point to discover the Vinschgau. In summer you can hike, do mountain bike tours or riding trips through the beautiful landscape. In winter we guarantee the pure snow-fun – with only one ski pass you can enjoy six nearby ski areas in Vinschgau and Switzerland. This double room (about 25 m²) in local wooden furniture which creates a pleasant, charming atmosphere. The large balcony (east side) offers a breathtaking view of the Ötztal Alps. You will also find a bathroom with a shower and a bidet, a flat-screen TV with integrated radio, a fridge, a safe, a spa kit and vitalized Grander water. The spacious double room (29 m²) is equipped with a wooden floor and natural furnishings in soft colors, creating a pleasant climate. From the balcony (south-west side) you can admire Switzerland and the Graubünden Alps. There is also a bathroom with a shower or bathtub and a bidet (in some rooms), a flat-screen TV with integrated radio, a fridge, a safe, a spa kit and vitalized Grander water. A very spacious double room (35 m²) with wooden floor and a charming interior made of natural materials. Part of the room are the 8m ² large balcony facing east and Venosta, the bathroom with shower and bidet, a flat-screen TV with integrated radio, a fridge, a swimming bag and revitalized Grander water. Double room (34 m²) with a comfortable sofa bed. The use of local timber characterizes the pleasant decor. The quiet balcony (south-west side) offers a wonderful view of the Graubünden Alps. You will also find a bathroom with a shower and a bidet, a flat-screen TV with integrated radio, a fridge, a safe, a spa kit and vitalized Grander water. Spacious suite (38 m²) with wooden floor and natural furniture. The separate sleeping area and the children's living area (with bunk beds) are characterized by soft colors. To complete this comfortable oasis the 8 m² balcony on the east side, the bathroom with rain shower and bidet, two flat-screen TVs with integrated radio, a refrigerator, a safe, a spa kit and vitalized Grander water. New very spacious suite (42-49 m²) surrounded by a cozy atmosphere, created by the wooden floor and the soft natural shades chosen for the furnishings. The room consists of a separate sleeping and living area, a bathroom with rain shower, bathtub and bidet as well as a large roof terrace (east side) with a wonderful view of the Vinschgau and the Ötztal Alps. Two flat-screen TVs with integrated radios, a fridge, a safe, a spa kit and vitalized water Grander await you. The highlight of this Junior Suite (42 m²) is the large roof terrace (35 m², south-east side) with a magnificent view of the Val Monastero and the Ötztal Alps. The wooden floor and soft natural shades transmit heat. The bathroom has a rainshower, a bathtub and a bidet. There is also a walk-in closet, a flat-screen TV with integrated radio, a fridge, a safe, a spa kit and vitalized Grander water. New and very spacious suite (50 m²), characterized by a wooden floor. A partition wall with sliding glass door separates the living area and the sleeping area, creating a welcoming atmosphere. The choice of warm natural shades and the use of local timber make it an oasis of quiet, embellished by a sunny balcony (south side) with a view of Monte Cavallaccio. There is also a walk-in closet, a bathroom with rain shower, bathtub and bidet, two flat-screen TVs with integrated radio, a fridge, a safe, a spa kit and vitalized Grander water. This 52 m² suite features a separate sleeping and living area as well as a large roof terrace (15 m², south-west side), which offers a great 270 ° view of the Val Monastero and Switzerland. There is also a bathroom with a shower and a bidet, a walk-in closet, two flat-screen TVs with integrated radio, a fridge, a safe, a spa kit and vitalized Grander water. Exceptionally large and stylishly furnished new suite (66 m²) with separable sleeping and living area, as well as a separate children's room. The use of natural materials and calm natural colors create a unique feel-good oasis. The sunny balcony (30 m²) faces south and promises a magnificent view of the valley and the local mountain Chavalatsch. The bathroom has a rain shower, bath and bidet. The suite is equipped with three flat-screen TVs with integrated radio, a fridge, a bathing bag and revitalized Grander water. Miniclub, Babysitting , Animation, Babyphone, Vegetarian food , Home made products, Dietary food, Food for people with food allergies, Light diet, Diabetic food, Bike rental, Sunshade, Deckchair, Ski depot in the house, Hiking Guide, Journals at disposal, Multilingual receptionists by day, Multilingual receptionists 24 h, Shuttle service (train station, airport), Cash maschine, Baggage porter, Video surveillance, Pets allowed, laundry service, Snow boot dryer, Shoe shine machine, Room service, Shuttle service, Car rental, Environment award, Dog-friendly accommodation, Bike deposit, Family-friendly, Children's meals, Child-friendly buffet, Packed lunches, Baggage storage, Int he village centre, Quiet position, Shops in the environs, above 1000 m a.s.l.